from Konad-licious! 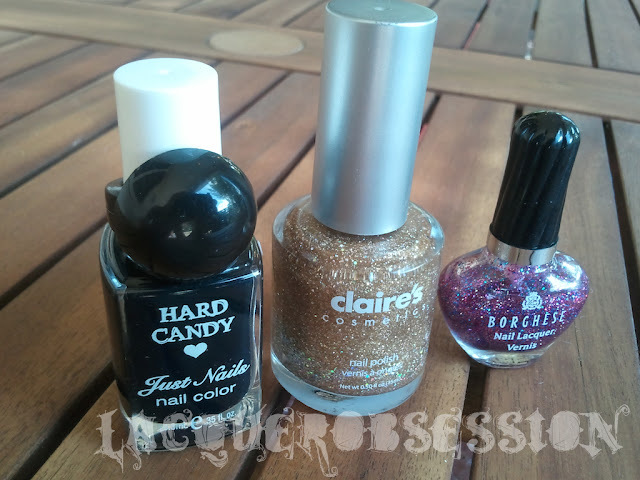 : KONADLICIOUS' HUGE 1,000 FOLLOWER GIVEAWAY!! 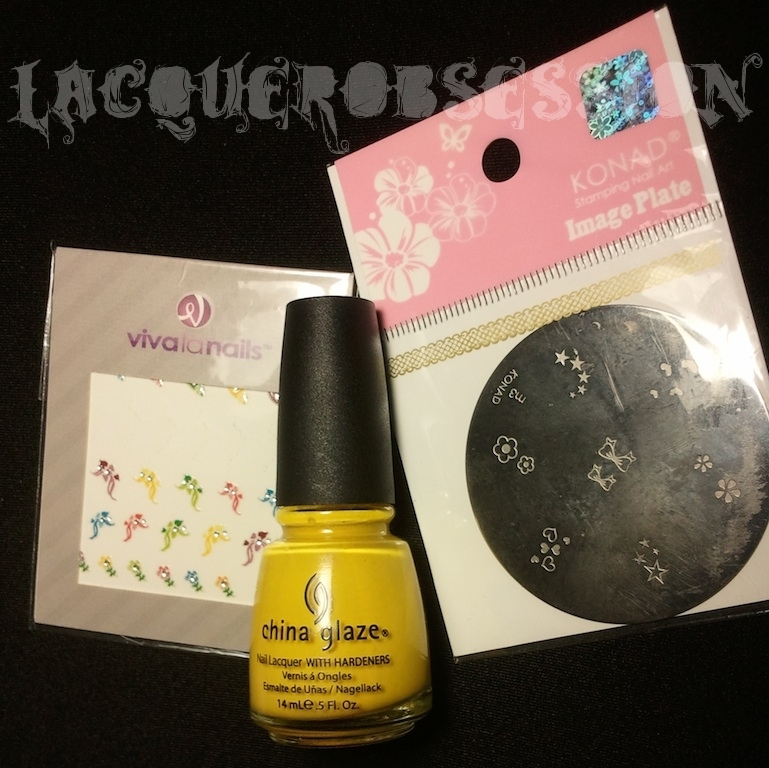 Girls you must check out Konad-licious's AMAZING giveaway!! Take a look at the prizes below! Good Luck & Happy Lacquering! L.A. Colors "Atomic" from the Color Craze collection, a bright creme teal. The color looked similar to some I already own, so here's a comparison with China Glaze "Four Leaf Clover", Bettina Nail Enamel "Aqua" and Sephora by OPI "Ocean Love Potion". 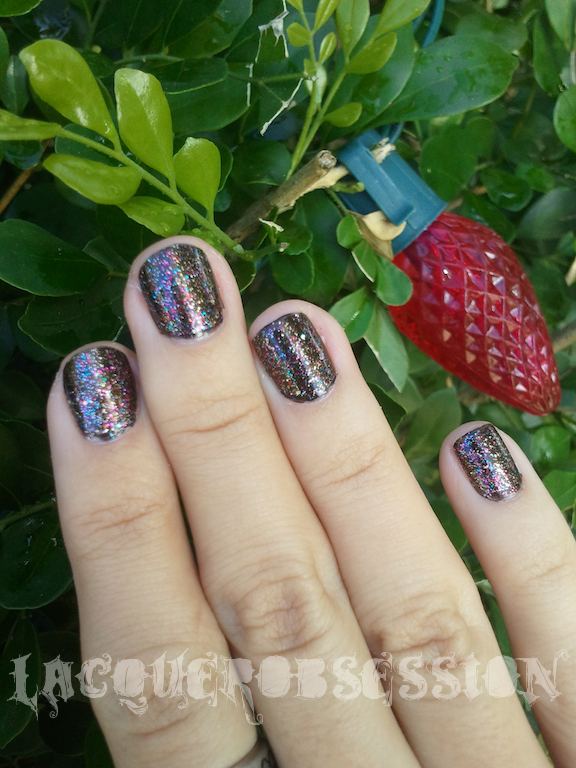 Mrs.Claus a glitter with a sheer red base. Mistletoe Kisses has smaller glitters than Mrs.Claus and needs less coats. It's a gorgeous light minty green. 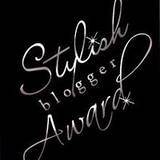 I've been tagged "Stylish Blogger Awards"
1. Thank and link the person who gave you this award. I love Dexter & Supernatural. I've been doing my nails since 3rd grade. My dog Dookie (like the Green Day album) is adopted, she was a stray dog before we took her in. Thanks for looking, check the tags out & Happy Lacquering!! Enjoy & Thanks for looking! Yay! 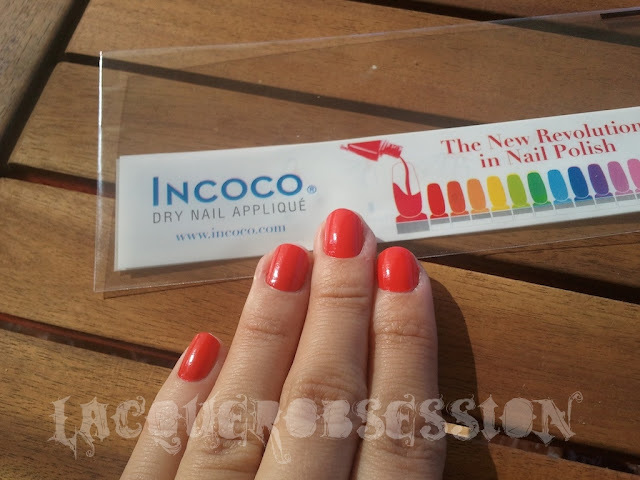 I finally got my hands on OPI's "Absolutely Alice", I needed to since I am a Johnny Depp - Tim Burton - Nail Polish - Alice In Wonderland fan! 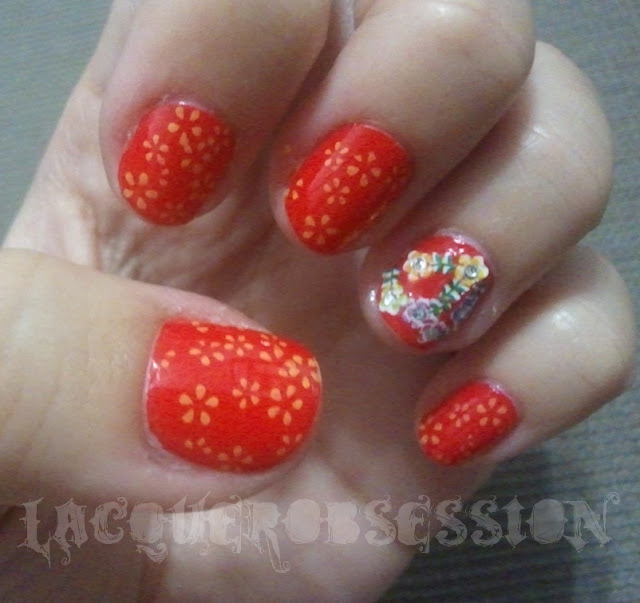 I stamped some flowers from the m3 Konad plate with China Glaze "Happy Go Lucky" from the "Up & Away" collection and on the ring finger I used VivaLaNails "Fashion Nail Art Stickers". I used Hard Candy "The End", Claire's "Goldmine" and a multi-colored glitter by Borghese from the "Serena" Nail Lacquer Mini Kit. Thanks for looking, Happy Lacquering & Happy New Year! !